Intersect Illinois was proud to host the Keidanren delegation on May 14-15. 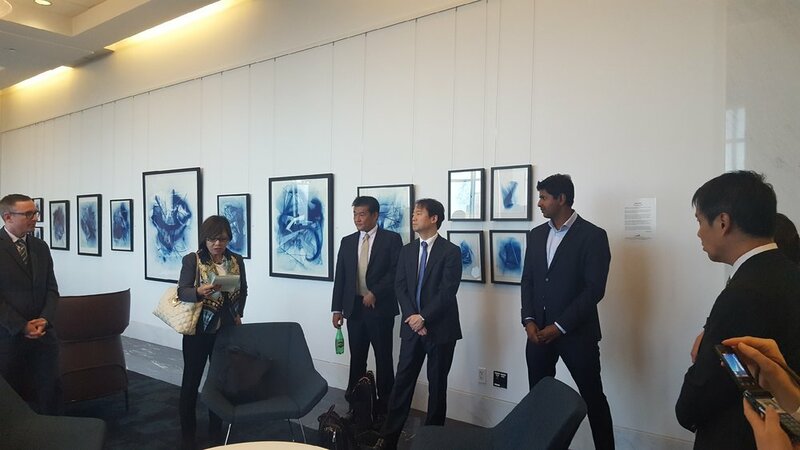 The Japanese’s delegation, equivalent of the US Chamber in Japan, stopped on their Midwest tour in Illinois in support of the long-standing relationship between the area and Japan. The working relationship between the state of Illinois and Japan dates back more than 140 years and includes an office in Japan, which is one of the oldest State Trade and Investment Offices in the country, dating back to 1983. In 2016, 630 Japanese businesses provided 44,160 jobs in Illinois. Illinois ranks 4th among the 50 U.S. states in imports from Japan. Illinois ranks 4th among the 50 U.S. states in exports to Japan. Illinois imports from Japan in 2015 totaled $7.1 billion, and Japan is the 4th largest import market for Illinois products. Imports from Japan have grown 24.0% since the 2009 recession. Exports to Japan have grown 44.1% since the 2009 recession. Illinois exports to Japan in 2015 totaled $2.04 billion, and Japan is the 6th largest export market for Illinois products. Governor Rauner welcomed 40 business leaders from Japan from the delegation and over 60 members of the Chicago Business community to the Metropolitan Club on May 15th. Speakers included Thomas McMenamin, Masuda Funai President, with George Kobayahsi, Principal at Masuda Funai, Kunio Ishihara, Keidanren Counsellor and Chairman of the Japan-U.S. Business Council, the Honorable Naoki Ito, the Consulate General of Japan in Chicago, and Andria Winters, President of Intersect Illinois. Networking, food, and remarks were on the agenda, before the Delegation separated into two groups for private tours of the Digital Manufacturing and Design Innovation Institute (DMDII) at UI LABS and Capital One’s Chicago Digital Lab to learn about the area’s strides in manufacturing and financial innovation.